The North Carolina Coastal Land Trust is one step closer to protecting more than 5,500 of natural area in Down East Carteret County. The environmental conservation organization recently received a $100,000 grant from Duke Energy's Water Resource Fund to help purchase the land. NC Clean Management Trust Fund, U.S. Fish and Wildlife Service, N.C. Wildlife Resources Commission, U.S. Department of Defense, and other agencies have provided funding for the acquisition of the property. The land to be purchased is adjacent to the 14,000-acre Cedar Island National Wildlife Refuge, and includes 13 miles of waterfront and features estuarine, marsh, pocosin and longleaf pine forest. "We're very excited not just about the project's stand-alone value, but its value as an addition to the national wildlife refuge. 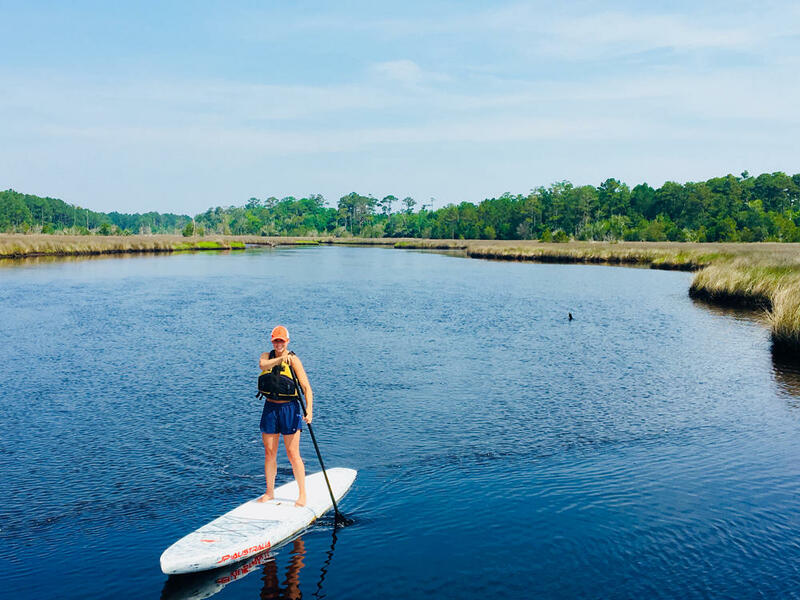 It's going to provide a wonderful vista all the way to down to Cedar Island for folks that might be heading to Ocracoke Island, and just enjoy being in the outdoors." Once the land is acquired, Herlevich said 5,000 acres will be transferred to the North Carolina Wildlife Resources Commission to be managed as public game lands. The Coastal Land Trust hopes to purchase the property this summer.